Green Day’s Billie Joe Armstrong is coming to a tv near you. The singer has joined NBC's The Voice as a mentor to Christina Aguilera's team when the show returns for season 3 this fall. 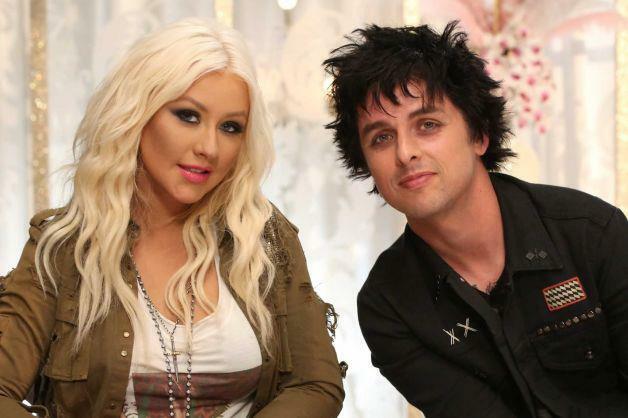 "Welcome Billie Joe (@BJAofficial) to #TeamXtina!" the show tweeted. "We are ready to rock out in Season 3." Armstrong is already on board as he started taping the show this week. The Green Day frontman is one of three new mentors on the series, which also welcomes new faces Rob Thomas (Cee Lo Green's team), Mary J. Blige (Adam Levine's team) and Michael Buble (Blake Shelton's team). Asked whether viewers may get to see the duo perform together, Aguilera teased, "We'll see… stranger things have happened." Season 3 of The Voice premieres September 10. Green Day release “¡Uno!,” the first album in a new trilogy, on September 25; the project's first single, "Oh Love," is out now.